“My wife was OK. She asked the baby after delivering: ‘Can you cry?’” he told VOA Khmer in a recent interview at his home. The next day, Feb. 5, he filed a complaint with district police alleging negligence by the midwife. VOA Khmer obtained a copy of the filing, which detailed how tragedy struck. 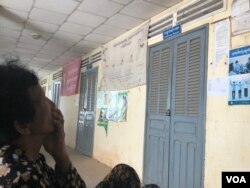 “Ten years ago, we had from 15 to 18 deaths per year,” said Ker Rotha, who heads the health department in Prak Soda’s Svay Rieng province. Feb. 4 was the first day of the Lunar New Year. While not an official holiday — Cambodians celebrate the new year, Choul Chhnam Thmey, in April — life often slows down a little in the big cities and larger provincial towns. 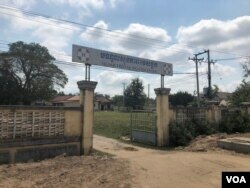 “I asked the midwife, Ouk Chamrong, to send my wife to Svay Rieng provincial hospital, but the midwife said the bleeding and her overall condition was normal,” read the complaint. “I will send [pregnant women] to Svay Rieng provincial hospital. If there is any problem, they will be helped on time,” said Chab Srey, 60, a villager in Bati commune.